From Central Station, take Exit A and take the skywalk towards Central Ferry Piers to Outlying Islands. 10 minute walk. From Hong Kong Station, take Exit A2 take the skywalk towards Central Ferry Piers to Outlying Islands. 10 minute walk. Man Kwong St, Central. Ask to go to Central Pier 8 (or Star Ferry Pier). From Tsim Sha Tsui, Kowloon, take the Star Ferry across Victoria Harbour. It takes about 15 minutes. Central, located on the North of Hong Kong Island, is conveniently located, and easily accessible from anywhere in Hong Kong, so you can be confident in choosing accommodation wherever you like. The Hong Kong Observation Wheel is a 60-meter tall Ferris wheel located on the Central and Wan Chai Reclamation overlooking Victoria Harbour in Hong Kong. 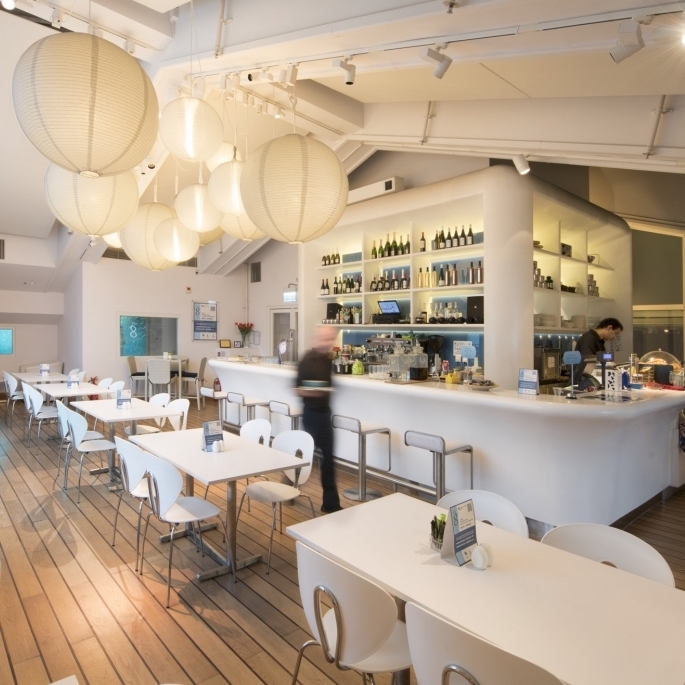 Located on the rooftop of Pier 8, Café 8 is a unique collaboration between the Hong Kong Maritime Museum and The Nesbitt Centre and creates a progressive environment for members of our society with learning disabilities. A prime location on Hong Kong island, in the heart of the Central district, spectacular views of Victoria Harbour and unmatched dining options elevate Four Seasons to a new level of luxury in Hong Kong. It is located 0.6 km away from the conference venue. If you're looking for something amidst the action and the buzz of Hong Kong, Mandarin Oriental is a great choice and just 0.6 km far from Maritime Museum. As the first and flagship hotel, Mandarin Oriental, Hong Kong is as legendary as the city itself. With a central location and five-star facilities, they are renowned for our sleek design, impressive service and exquisite blend of luxury, comfort and style. This hotel will also be very close to our Day 1 conference!